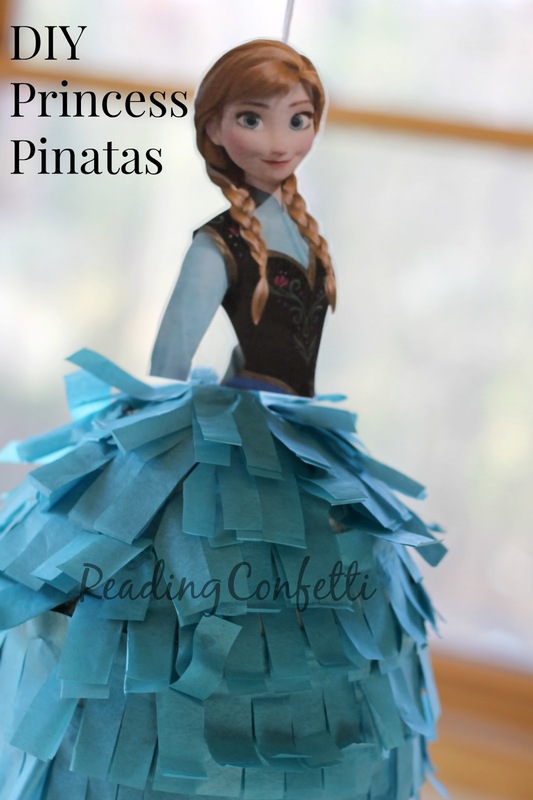 These DIY princess and Frozen pinatas are so easy and inexpensive to put together that you can make one for each guest at your next birthday party. I have unfortunately started a tradition of making a pinata for each guest at my children's birthday parties and my kids pretty much expect it now. 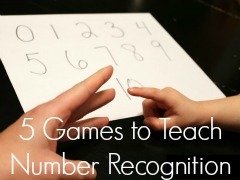 Luckily they're fun to put together and very inexpensive. 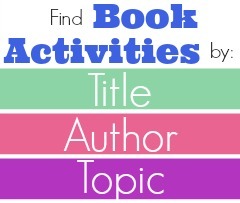 It's also an easy way to customize them to the theme of the party. I've made skeletons and Spiderman, but these are the first I've done for my daughter and my favorite so far. 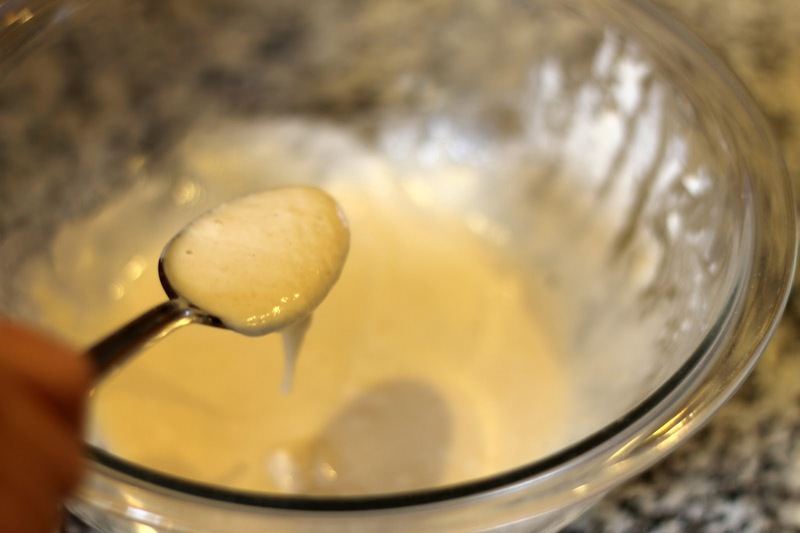 Mix up a batch of paper mache paste. There's lots of recipes, but I use a no-cook that's half flour and half water. 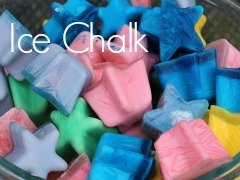 I also throw in some salt because I've heard it helps prevent them from molding. To cover small six balloons I used one cup of flour and one cup of water for each layer. 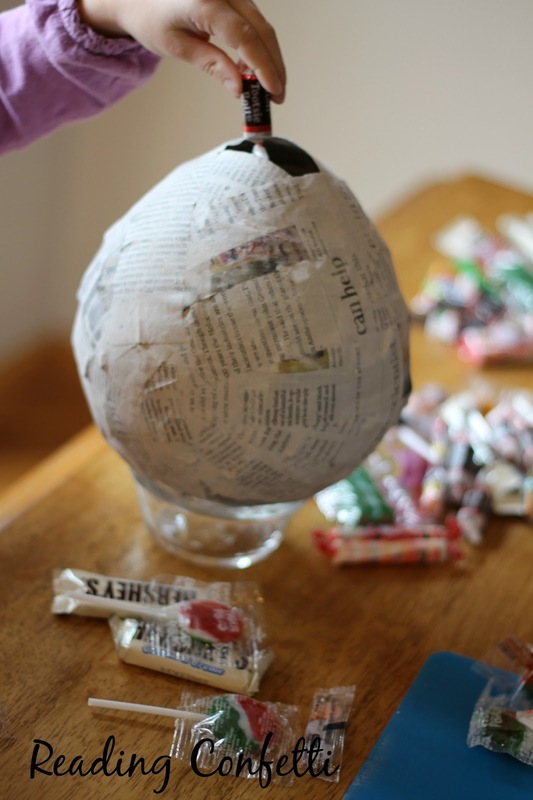 Tear your newspaper into strips and dunk them into the paper mache. 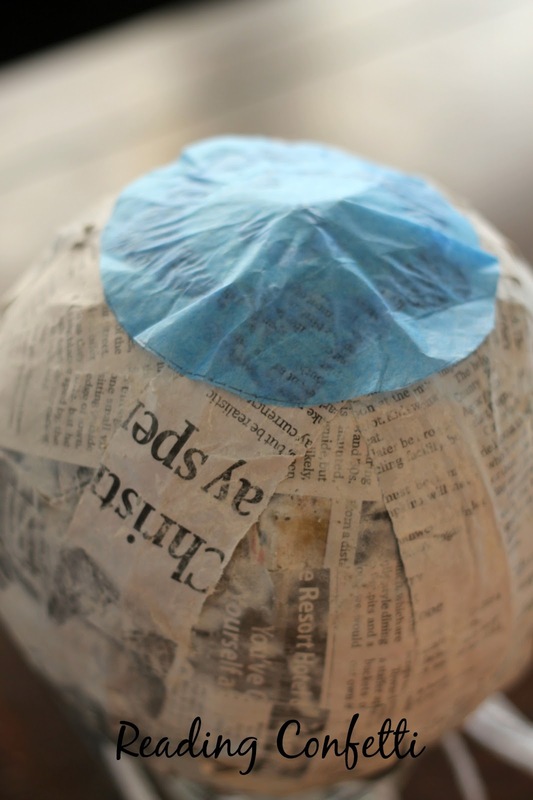 Use your fingers to scrape off the excess paste and cover the balloons, overlapping the newspaper strips slightly. 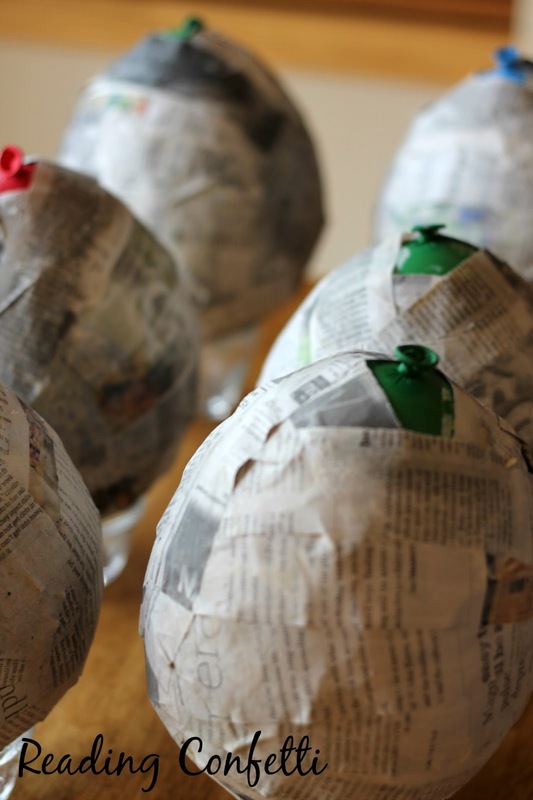 Cover the balloons with two layers, allowing to dry thoroughly between each layer. Leave a small opening around the balloon tie so you can get your candy in later. I use small bowls to hold the balloons while I'm covering them and while they dry. After the second layer has dried, pop each balloon. 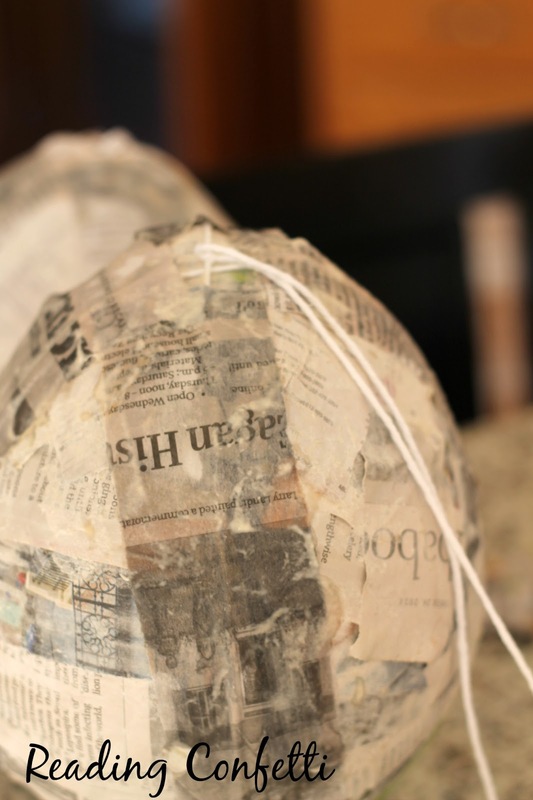 If your paper mache is dry, the balloon should pull away from the sides and you can discard it. Fill each pinata with candy and/or confetti. Once they're filled cover over the top with two layers (drying between each). 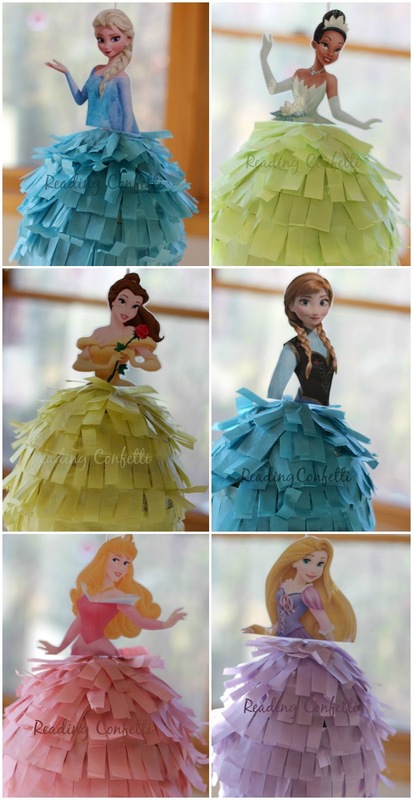 You do not have to cover the entire pinata - just do two layers at the top so it's the same as the rest of the pinata. Tie string around the balloon so that the knot is where the opening used to be. Be sure to leave enough extra string to tie up your pinatas. 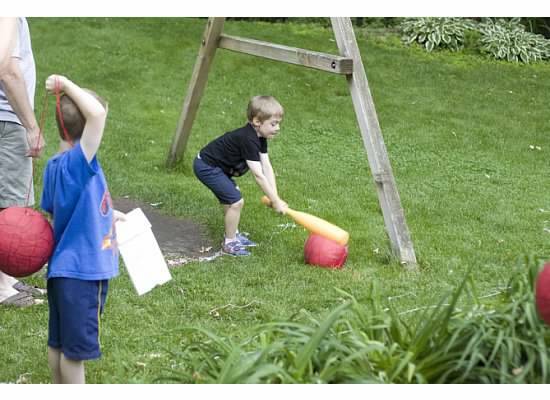 At this point you have to make a judgement call about whether your pinatas are strong enough. I stopped here because my balloons are small and in the past I've put so many layers on that the kids weren't able to break them open. 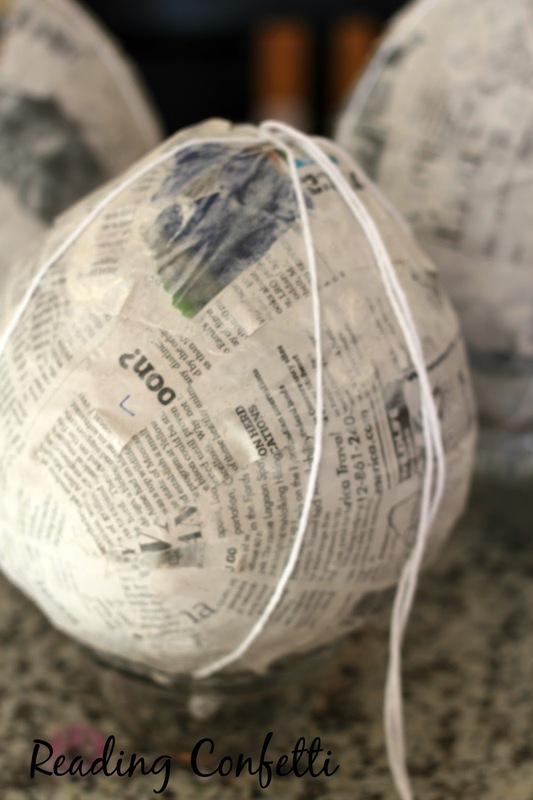 If your pinatas still feel flimsy, continue to add layers of paper mache until they feel right. My first attempt at pinata making. There were NINE layers. Since I wasn't adding any more layers to my pinatas, I also covered the string with a layer a paper mache to keep it in place. 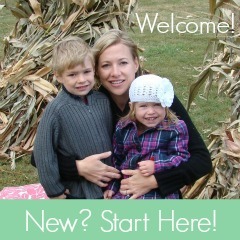 If you are adding more layers, just continue over the top of the string. 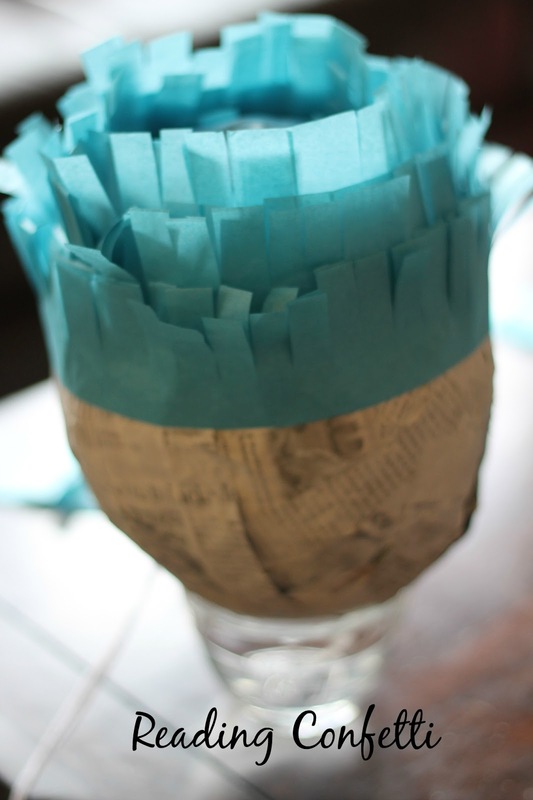 Using school glue, attach a circle of tissue paper to the bottom of the pinata. Glue the fringe all the way around the pinata working from the bottom up. Do a search for the princess image you want. Paste it into a Word document and resize. You'll only need the top half. Print and cut them out. I also laminated mine, but I don't think it's necessary. 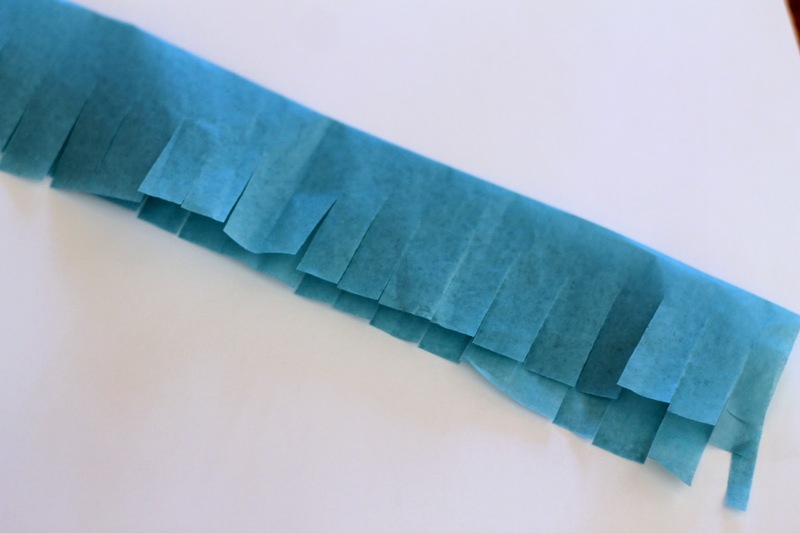 Tape them to the string on the pinata and you are done! 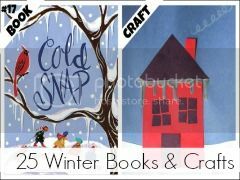 Thank you to The Copycat Crafter's DIY pinatas, Ruffled's pinata favors, and Erica's Sweet Tooth's Disney princess cupcakes for inspiring these. We love these pinata's! We are going to make the Elsa one for my daughter's 4th birthday! 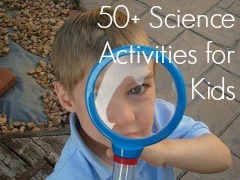 Thanks for taking the time to post your ideas and a tutorial on how to make them! Thanks for taking the time to leave a comment, Michelle! 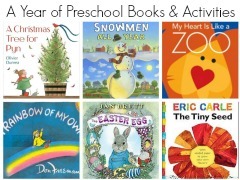 Oh we love these! Making a large Belle one for my daughter Bella's birthday! She will be delighted and doesn't know yet! Thank you for your tutorial! Ill be making these as Sofia the First party favors! 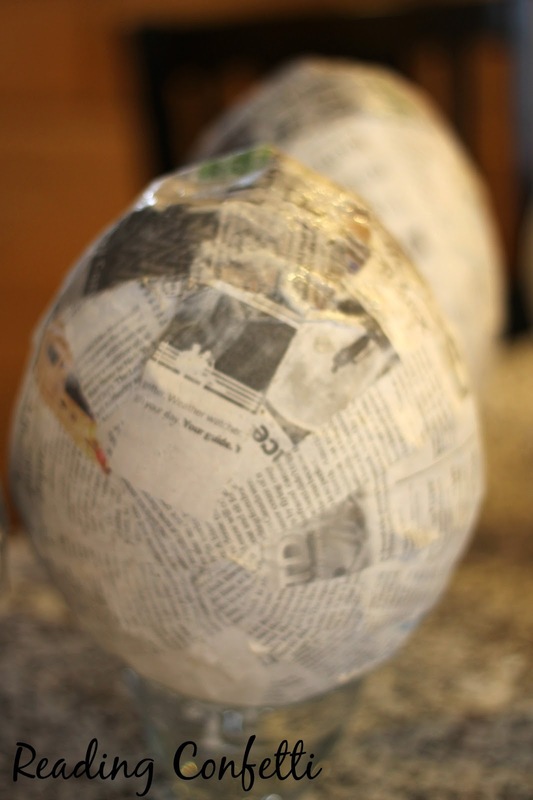 How long did the paper mache mixture take to dry? We let it dry overnight between each layer but a fan aimed at them will speed up the drying time. Love this idea, thanks for tutorial, almost completed making rapunzel for daughters party, she is going to love it! Hi, thanks a lot. I have a question : what do you stick at the back of the princess's picture? The piñata is rotating on the rope. ... so they can see the piñata from different sides. .. Thanks again. I didn't put anything on the back, so the back didn't look very nice. 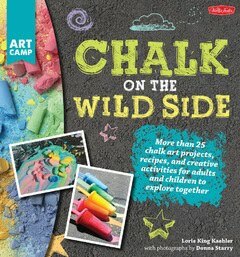 The kids didn't care, but you could try putting another princess on the other side with a piece of colored paper in between?